Please explore this internet research and information center on the Street Arts and Buskers traditions. The index above will lead you to historical references, court cases, regulations, performance locations and links. Also, there is an artists data base listing street and vaudeville artists in the Greater Boston area and the world. There is a detailed index at the bottom of each page. The streets arts are dynamic and constantly changing. This site is only one gateway to this world. Please forward comments, corrections, and ideas back this way. The information is only as good as we share it. This information has been published for over four decades now. Many copies are sent to national news organizations, libraries, arts councils and legal clinics free of charge as part of the advocacy to expand the public support of the street arts. Please support this effort by becoming a member or making a donation on form below or online through the secure sites Social Seam or Paypal on the links below. Many thanks. In May of 1973, a small group of street artists formed the Boston Street Singers Cooperative to legalize and legitimize street performances. A letter writing and media campaign resulted in new laws permitting street performances in Boston. New laws permitting street performances were also passed in Cambridge in 1976. The members also started cooperative bookings of colleges and clubs. The street artists reorganized in the spring of 1978 as the Street Performers Guild to negotiate performances at urban pedestrian malls being developed in Boston. Street Performers' Festivals were developed with the Cambridge Arts Council and Faneuil Hall Marketplace in 1983 and 1984 with support from foundations and corporations. The Subway Artists Guild was formed in 1986 to negotiate performance spaces in the Boston subway platforms. The Street Artists' Guild was formed in 1988, as a street artists advocacy organization under the umbrella of the Folk Arts Network. The Street Arts and Buskers Advocates was formed in 1996, as a international advocacy organization under the leadership of street artist, Stephen Baird. It became a program of Community Arts Advocates, Inc., a nonprofit organization founded by Stephen Baird, in 2002. The Street Arts and Buskers Advocates have consulted with city officials and artists in Chicago, Saint Louis, Hartford, Worcester, Cambridge and numerous other locations to develop ordinances and street performing programs. 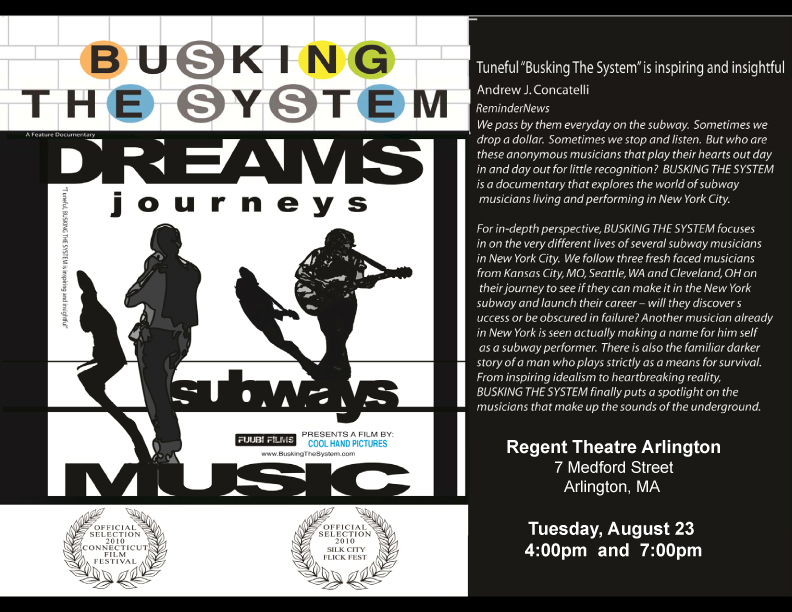 Street Arts and Buskers Advocates led the battles to stop the supression of street performances on MBTA subway platforms in 2003, through media, petition and legal campaigns. 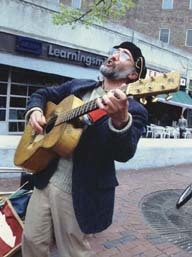 The Street Arts & Buskers Advocates and Stephen Baird filed a Federal law suit and repealed archaic and restrictive laws curtailing street performances and art exhibits on Boston sidewalks and parks in 2004. 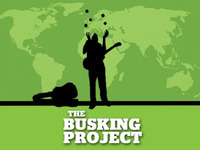 Street Arts and Buskers Advocates developed this internet research and information resource center web site in 1999 which receives site visits from around the world. Stephen H. Baird is the founder and director of Street Arts and Buskers Advocates and Community Arts Advocates. He has over four decades of performances, arts advocacy and grassroots arts administration experience. Stephen Baird restructured Club Passim, the historic folk music venue in Cambridge, as a nonprofit organization in 1995-97. He co-founded the Bread & Roses Festival in Lawrence in 1986, founded and directed the Folk Arts Network from 1982-96, published the New England Folk Almanac and New England Folk Directory from 1982-1996. He produced Jamaica Plain Open Studios and directed the Jamaica Plain Arts Council from 1999-2001. Stephen Baird has been featured in Time, Newsweek, People, National Law Review, American Bar Association Journal and many other national magazines, a PBS documentary, a Discovery Channel documentary, and at the Kennedy Center for the Performing Arts in Washington, DC. "Stephen Baird is the national authority on the history of busking"
Stephen Baird in "Street Art" from documentary film series America! The Street Arts and Buskers Advocates publishes model street performance ordinances, court decisions on street artists' rights, lists of traditional street performance locations throughout the world, and provides educational workshops, artist referrals and festival production consultations. Donations can also be made to Community Arts Advocates, Inc.
by credit card at the on line secure site Paypal, please put Buskers Advocates in the memo field. Click on the button below for direct access.